From all the posts you read online, it’s easy to think that great rewards credit cards are everywhere. But, are they really great deals? Deciphering credit card rewards programs can be a challenge — starting with what types of incentives you earn. Certain credit cards offer cash back while other focus on travel rewards and still others let you apply points to any type of purchase. With all of those options, how do you choose the right rewards credit card for you? To help you on your card selection journey, here’s a look at some of the best programs around. When you need flexible travel options, the Chase Sapphire Preferred card is a great pick. Instead of tying you to just one airline, you can use your rewards points with nearly any carrier. You don’t have to deal with restrictions on hotels either, making it a highly accommodating travel rewards card. And the earnings are easy to understand: You get two points for every dollar on travel and dining purchases and one point per dollar on everything else. Plus, if you spend enough during your first quarter, you get a massive 50,000-point bonus. The Discover It rewards credit card with cash-back match is incredibly simple. You get 1 percent cash back on every purchase, no matter where you shop. Plus, you can earn 5 percent cash back on specific categories, like grocery stores, restaurants, or even purchases on Amazon. Bonus categories shift on a quarterly basis. But, if you time your purchases right, you can make a bundle in cash back. Plus, you get a cash-back match at the end of your first year, helping the bonuses to add up. If you don’t want to deal with multiple tiers of rewards on different categories but still want to enjoy cash-back benefits, then a flat-rate option is ideal. The Citi Double Cash Card gives you 1 percent cash back when you shop and an additional 1 percent cash back when you make a payment. That makes it one of the easiest rewards systems around. Offered by American Express, the Blue Cash Preferred rewards credit card gives you more cash back in household spending categories — starting with an astonishing 6 percent cash back on your first $6,000 in supermarket spending every year. Plus you earn 3 percent at gas stations and certain department stores. Everything else you 1 percent cash back. If you want to qualify for one of the cards above, you’ll typically need good to excellent credit. However, each company manages their own requirements, so make sure to read the fine print before applying. Readers, do you have a favorite rewards credit card or loyalty program — or are you considering signing up for any? Please tell us about them in the comments section beneath this post. Credit card rewards are often ways that you could get money back from your purchases. Spend $10 at Walmart, get $1 back. However, some credit cards offer different cash back bonuses, but not all of them are equal. Which cash back bonuses are the best? How should you be using the rewards? How can you best benefit from them? Annual fees are awful. Don’t pay them. According to Otter, there are a ton of good rewards cards that don’t come with annual fees. When doing the math, if you have a $100 fee, you have to spend practically $10,000 with that card to justify the fee. Of course, if you spend that much consider taking on a rewards card with an annual fee, but if not, steer clear of cards with fees. Last, but certainly not least, always opt for cash back instead of travel miles or other rewards. A lot of cards offer a certain percentage of cash back and it is always the better option. Plus, travel miles are not as straight forward as cash back rewards. Cash back rewards are always a set percent back on certain purchases. Travel miles can’t always be used though. There are certain black out dates around the holidays (when most people would like to use the miles). However, if you would like to get travel rewards instead of cash, you should go for travel points instead of miles. While you won’t get as many points as miles, there are no black out periods for points and you can use them on more than one airline. When choosing a credit card, these are all things to take into consideration. No matter what kind of card you choose, make sure it is one that you will benefit from. Also, be sure to read all the fine print about fees and other details regarding your card. Toys R Us has a rewards program for frequent shoppers. It’s popular with parents, collectors and collectible resellers. Those who use the program can tell you that it has many pitfalls that can lead to disappointment. Know the rules of Rewards R Us if you want to get all the rewards you are due. 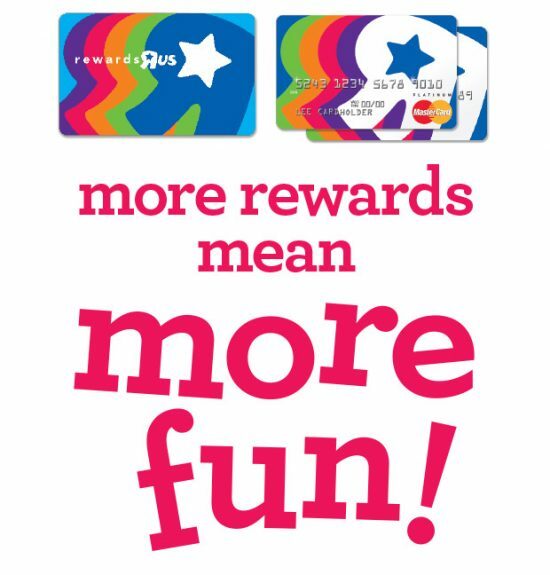 The Toys R Us rewards program offers $5 in ‘R’ Us Rewards for every 125 points earned through purchases. You can also earn extra rewards by using an ‘R’ Us Credit Card, which gives you double the rewards (two for every $1 spent) and other discounts. You also earn one point for every dollar you spend elsewhere that accepts MasterCard. The card also gives you 10 percent off Toys R Us purchases on Thursdays. The program is free, and Toys R Us describes it as “easy,” but certain caveats in the program belie that description. Now for all the exceptions to the program rules… and there are many. First, when you redeem rewards, you can only use the redemption certificate on one item if buying online. You must use a redemption certificate within 30 days of issuing it. This means you must use the rewards website to issue a separate certificate for each item you purchase. If your certificate is valued higher than the item you redeem with it, you lose the overage. This caveat does not apply in-store. Second, the 10 percent offered with the Toys R Us credit card is only good for in-store and in-stock purchases. So collectors and resellers may find themselves out of luck when trying to cash in on this discount. In addition, the 10 percent discount doesn’t apply to diapers and formula, video game hardware, Apple items, netbooks, tablets, gift cards, protection plans, special orders or fees. When using a reward certificate, coupons and discounts only apply after the certificate has been applied. That devalues percent-off deals, but preserves the value of discounts such as $5 off. Using certificates online is also tricky because you can use a reward to buy an item that goes out of stock after you put the order through. If that happens, you lose the entire reward certificate. So, Toys R Us rewards can offer you significant savings, but using them online is hit or miss. The best way to redeem rewards is in-store. Act fast because this offer is only valid through October 14, 2015. Right now, when you open a Chase Total Checking account, you receive a $150 bonus. Direct deposit is necessary. This is Chase’s most basic checking account. That means there aren’t too many hoops to jump through in order to qualify. It’s available to all US residents. You also receive $100 when you open a new savings account. Again, this is Chase’s most basic account of this type. It’s pretty easy to qualify and receive your bonus. For the savings account, you need to deposit at least $10,000 within 10 business days and maintain at least that balance minimum for at least 90 days. This is probably a good spot for your emergency fund. Bonus! You can link this account to your checking account for overdraft protection. There is a monthly fee associated with this account. It’s a $5 service fee. It can be waived a number of ways. The first is by keeping at least $300 in the account at all times. Or you can transfer at least $25/month from your Chase checking account (we at Saving Advice love this option). If the account owner is under 18-years-of-age, the fee is automatically waived. 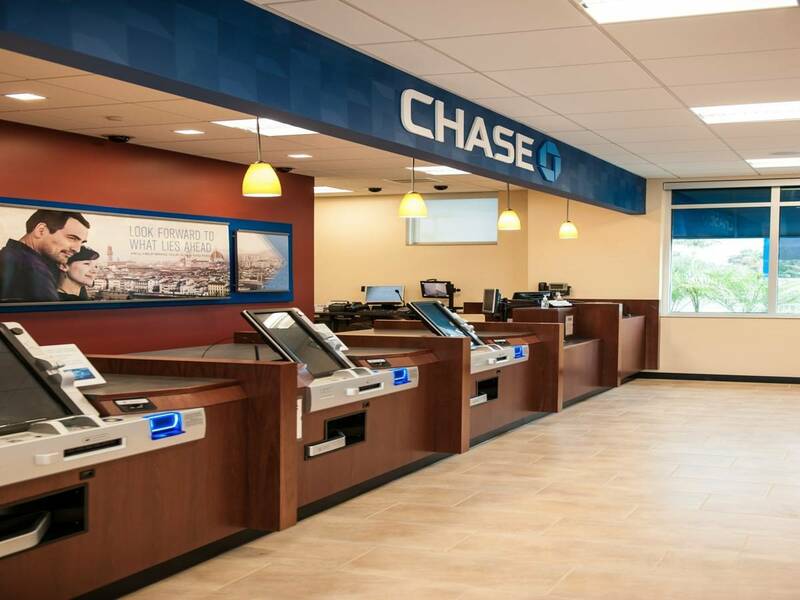 Finally, the fee will also be waived if it’s connected to one of Chase’s premier checking accounts: Premier Plus Checking, Chase Premier Platinum Checking, or Chase Private Client Checking account. If you close your account within 6 months, the bonus will be deducted on your way out. That’s good of Chase to put that in writing. Many banks just say, “We reserve the right to deduct the bonus amount at any time.” 6 months isn’t long to stay with a bank – even if you decide you don’t like Chase. You may not feel like opening both accounts to get the $250. Just one account may seem like enough. But it’s in your best interest to get them both. Not only do you get more bonus money, you also get mutual benefits from having both accounts. Doing one without the other is silly. Although yes, this will put you heavily into the Chase Ecosystem. Although if you don’t like it after 6 months, simply move on. Chase uses a soft credit pull, not a hard one. That means your credit score won’t be affected by applying for these accounts. You can apply for these Chase accounts either online or in-branch. If applying in-branch, you’ll need to still click the link to have a coupon emailed out to you. It’s coming! Senior Citizens Day is August 21, 2015. It’s a day when we recognize the older citizens of our community. This is important because they helped build the society we live in today. Many of them fought in wars, built businesses, and raised families. Just because they’re retired now doesn’t mean they haven’t left lasting impressions. As part of honoring our older friends, neighbors and family on Senior Citizens Day, we put together a little guide to senior citizen discounts. It’s a way of helping everyone keep their minds and bodies feeling young and healthy! Many grocery stores offer senior citizen discounts on a specific day of the week. These deals are not always advertised, so it pays to ask. Money saved with discounts can translate into more money for healthy foods like fruits and vegetables that can help seniors feel young and stay active. A healthy diet is essential for living a full life. These restaurants give senior discounts as well – some as high as 20%! A SilverSneakers membership is a way for 1 in 5 seniors over the age of 65 to get free access to gyms, helping them stay active and healthy. Available under most Medicare Advantage or Medicare Supplement Health plans, the plan includes access to more than 3,000 fitness facilities, plus special fitness classes and activities. Saving money is never an excuse not to exercise. After all, the medical bills for heart disease will GREATLY outweigh any exercise expenses. If you don’t want to visit a gym, consider using a Nintendo Wii as a low cost gym alternative. Continuing education is wise if retirees want to stay smart. Many colleges and universities offer deeply discounted, sometimes free classes for those over age 60. Plans vary from free courses that do not earn credits to cheap plans offered when classes are left with unfilled seats. Check out your local colleges to discover the many learning opportunities available. Seeking discounts can make it easier for seniors to stay active and enrich their lives. Traveling and sightseeing can add a spark of fun that keeps you young. Look for discounts on rail fare at Amtrak if you’re over age 62. For those 55 and over, cruise lines often provide discounts. An AARP membership is very affordable and pays for itself quickly. Discounts on hotels and rental cars make traveling more accessible to the seniors that use them. And you can qualify for a membership at age 50, bringing senior citizen discounts to many more people. Once you reach your destination, you’ll find discounts available at many museums, theaters, restaurants and shops. The National Parks Service offers a Senior Pass providing lifetime access and discounts on amenities. Although senior discounts aren’t always the best deal, seeking them out does help seniors keep the spark of youth in their lives. Just be sure to check for better deals before taking the discounts you find. There are tons of discounts! Nearly every aspect of life can be discounted once you reach senior citizen status. You can get discounts on food, lodging, gyms, auto clubs… all sorts of discounts! Enjoy them! You mind and body will thank you. Wishing you Happy Senior Citizens Day on August 21st. You should always notify your bank before leaving. This is especially true if you’re traveling overseas. Sometimes banks or credit card companies will see foreign transactions and think someone stole your card. The worst case scenario is that they’ll cancel your card. How would you like that surprise when trying to buy something in a foreign land?! You don’t want to be vacationing somewhere and accidentally learn that your card is worth nothing more than thin sheet of plastic. That would be an expensive call to the US to get it reactivated. While some places do take traveler’s checks, they’re not a very common in 2015. Some banks have very stringent rules on cashing them, so it’s difficult for businesses to deposit them. Thus a lot of places, both domestically and internationally, refuse to accept them. While they may be great to use as a backup in case your cash or cards are stolen, don’t rely on them. 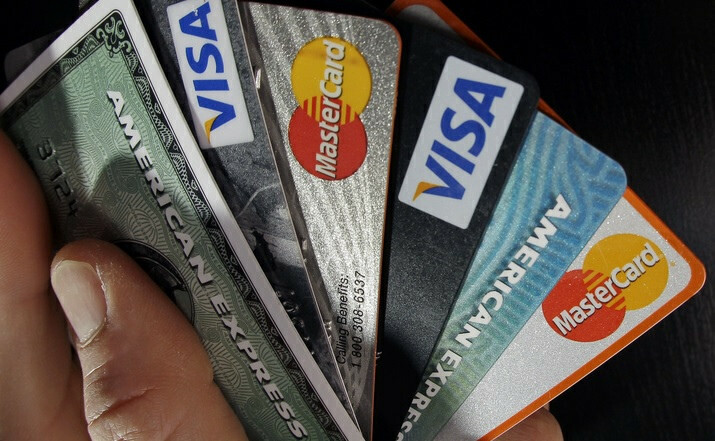 Some banks have outrageous fees if you use your card outside your normal geographical area. Many of these fees are ATM fees. While a $5 fee might not seem like a lot, it can be avoided. If you use your card at least five times a day, at $5 a swipe, that’s $25 just for accessing your money. Before you travel, take a look at free-to-use ATMs where you will be traveling. 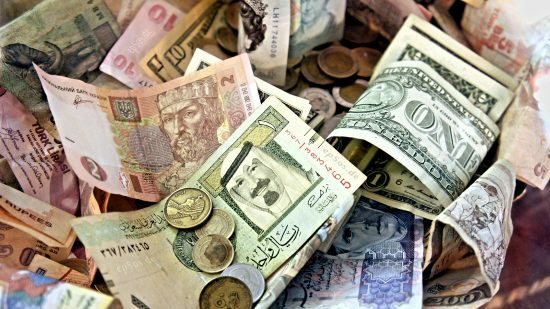 When traveling internationally, a lot of people forget that banks or credit card companies charge an additional currency conversion fee. Some companies not only charge a conversion fee, but they’ll charge a secondary fee just because you used your card internationally. Fees can be as high as 10%. That’s a lot of unnecessary expenses. If possible, try to find a bank that has a no fee guarantee. When you’re planning a trip, sometimes you forget to change over your money. Naturally, a lot of airports have currency conversion stations where you can exchange money. However, the exchange rates at these stations charge hefty fees. Instead, go to a bank where you can get the proper exchange rate for your currency. Just make sure you have enough local currency to get you to a bank. While most large, corporate banks and credit card companies have international partners, smaller banks or credit unions might not. You always want to make sure that your bank has an international partner. An international partner will save you money overseas. 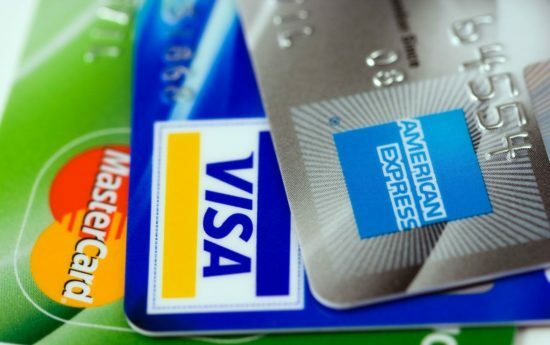 It’s easy to assume that everyone takes credit or debit cards, but there are still a lot of places that don’t accept these payment methods. It’s always smart to carry some cash on you in case of emergencies. What if you go to a restaurant that is cash only? Or how about a small market that doesn’t accept cards? You don’t want to encounter a situation where you can’t pay. That’s awkward for everyone involved. Instead, make sure you have some local currency tucked away for emergencies. When overseas, many stores will ask if you want your card to be charged with the local currency amount or in US dollars. Many people choose to be billed in dollars since they think it will save them money. Except the vendor can still choose to slap you with a high conversion rate as well as an international transaction fee. If you’re unsure about this, check with your bank to see what the best method is for charged amounts. It might be easier to carry large bills around since that means fewer bills to tote around. But there are a lot of people who refuse to make change for large bills. Sometimes it’s a vendor’s way of cheating you out of money. For instance, if you take a cab somewhere and the amount (in US dollars) comes to $5 and you only have a $50, the vendor could tell you that they don’t have any change. You don’t want to be stuck leaving them a $45 tip, do you? Using your credit card at an ATM is never a good idea. This counts as a cash advance. Interest rates for cash advances are usually much higher than regular interest rates. Additionally, you’re going to get hit with a normal ATM fee on top of that, and if you’re traveling internationally, you’ll get another currency fee. Make sure you know how you will get access to your money when traveling. Then you can simply think about relaxing and having fun while on vacation. After all, most people don’t want to worry about money while away.